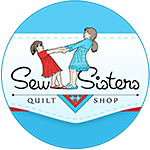 Marjorie's Busy Corner: Sew Mama Sew Giveaway Day!!! I'm late, I'm late..lol. Here we go folks, it is here again. I almost missed it too..imagine! I hope you all know me, and I hope to get lots of new followers..yay!!'! Today I am taking part in http://sewmamasew.com/ giveaway. She has this twice a year and is so much fun..great way to find new bloggers. 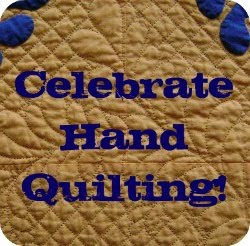 I am offering a $20.00 gift certificate from Mad About Patchwork, here...http://www.madaboutpatchwork.com/. This is a fantastic shop in Canada, so please take a look. Good luck in the giveaways out there right now, and have fun!!!!! I hope you come back!!!!! Hello from Nevada/Utah! Great giveaway! I'm glad to hear about a Canadian shop as I am in Montreal. Thanks for the giveaway! My favorite online shop! I know Pam and can tell you that you get good service from this shop! Orders are processed quickly! Would love to win this gift certificate! It looks like they have a great selection of low volume prints--thanks for the chance! Well there is never such a thing as 'late' in my book! thanks for the chance!! Thanks for a lovely giveaway.. money to spend is always good. Thanks for the chance Marjorie! I love Mad About Patchwork! Thanks for the giveaway. I am always in awe of how much hand quilting you get done. Greetings from Vermont. I love Mad About Patchwork! I love to find new fabric shops. Thank you for the giveaway. as a Canadian, I would love a Canadian shop to shop from! Love their sun print in grass green. Thank you for the chance to win. I'm familiar with your giveaway site. Hope you get some warm weather soon. We have rain, and are cutting our lawns here in Kansas. Thanks for the chance, Marjorie. Please enter me me me! Thanks! I love that shop, and it's in Canada just like me! Hello from Florida! I love Mad About Patchwork!! Good Morning Marjorie! Its cloudy in Halifax today. Maybe some rain on the way. Have fun with your giveaway. Hello from Connecticut! Thanks for the chance to win! Love your site. I am from Illinois (Sunny day). Thank you for the giveaway. Good Morning from central Pennsylvania. Good morning! Hope you have a lovely day. The sun is shining this morning in Iowa. Thanks for the great giveaway. I love Pam's shop. 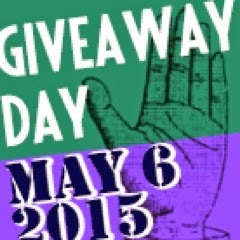 Great giveaway!!!! Hi from NH, USA, thanks for the chance to win! Hello from Calgary! I'm all about supporting a Canadian company! Such a generous giveaway prize! The SMS giveaway day always sneaks up on me too! Thanks for the giveaway...these Sew Mama Sew events in May and December just are such a fun event! Thanks for the giveaway, I always enjoy checking out new blogs. Hi from Georgia. Thanks for this giveaway! So glad Mad about Patchwork is Canadian!! Nice giveaway. Plenty of great fabric to choose from. I love Mad About Patchwork!!! Thanks for the chance!!! A Mad About Patchwork gift certificate is a wonderful giveaway. They are one of my favourite online stores. Thanks for participating in the SMS giveaway and for offering such an awesome prize. Would love a fabric shopping spree. Thanks for the chance! Hi From Tel Aviv, Israel :) You have fans here too... Thanks so much for this great givaway!! That is very generous! Thanks for a chance to win! Thank you for the giveaway. Its a great shop. Lovely giveaway so generous of you.Have a lovely weekend. I'm late to the party too, lol! Thanks for the chance to win! Good Afternoon from Missouri! It's a cloudy day here with hit and miss rain, hope it's nicer where you are. Thanks for the giveaway and I'm a long time follower. Greetings from Alberta, and thanks for the chance! Hello from Minnesota-what a nice give away! Looks like a fun shop, thanks for the giveaway! Thanks for the chance to win! I love fabric shopping. And thanks for your lovely blog. What a neat and thoughtful idea. Thank you for being a part of the SMS Giveaway Day and giving me the chance to win that gift certificage. I do love shopping. Great prize - love what mad about patchwork has to offer. I am a new follower on Bloglovin. Thank you for the giveaway. Love Mad About Patchwork! Mad About Patchwork is my favourite Canadian on-line shop. Thanks for the giveaway. thanks for your giveaway and hello from Toowoomba, Queensland, Australia. Mad About Patchwork looks like a great shop. Glad you made it! Thanks for a lovely giveaway. Thanks for the wonderful chance! is this how to enter. MAP is a great store. Greetings from Germany and thank you so much!!! G'day from Brisbane Australia. Thanks for a chance I love Mad About Patchwork. Greetings from Portland Oregon and thanks for sponsoring a giveaway! Hello from Vancouver Island Canada - thanks for the great giveaway chance. What a wonderful prize. Thanks for the offering. Thanks for the giveaway! From Burlington, Ontario. Good Morning from Southeast Michigan! Good morning! I love Mad about Patchwork! WOOT! Mad about Patchwork is one of my fav shops! They have a great selection of Kona! Greeting from Newfoundland. Thanks for the giveaway! What fun it would be to spend $20 in this shop! Thanks so much and Happy Mother's Day to you! A big hello from Italy! I bought some lovely fabric from them! Thanks for the giveaway! I'll look forward to looking at your blog. Southern Utah says hello. Thanks.